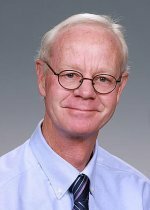 Congratulations to Dr. Bill Morgan on being named Scientific Director of the 2009 National Aeronautics and Space Administration (NASA) Space Radiation Summer School (NSRSS). The school, which is held at Brookhaven National Laboratory, June 1-20, offers graduate students, postdoctoral fellows and junior faculty the opportunity to learn about the unique characteristics of space radiation and how to perform experiments exposing targets to high-energy, high-charge particles. The NSRSS was designed to provide a pipeline of researchers to tackle the challenges of harmful radiation exposure to humans traveling on space exploration missions. Morgan, who is Director of Radiation Biology and Biophysics at Pacific Northwest National Laboratory, will select and invite lecturers, coordinate the courses, and ensure attendees learn all the chemistry, physics and biology of radiations commonly encountered in space. He is also featured in the NASA Space Radiation Program Winter 2008/2009 Newsletter "Space Radiation Spotlight on William F. Morgan." Morgan is a leading researcher in the fields of radiation biology and the long-term biological effects of radiation exposure. He leads PNNL's Low Dose Program, which is sponsored by the U.S. Department of Energy Office of Biological and Environmental Research. Morgan is a scientific representative for regulatory agencies such as the United Nations Scientific Committee on the Effects of Atomic Radiation, the International Commission on Radiological Protection, the National Council for Radiation Protection and the Environmental Protection Agency's Science Advisory Board Radiation Advisory Committee.